Simon Fisher-Becker is a stalwart of stage and screen and recently found further fame thanks to his appearance in Dr Who as bright blue black marketeer Dorium Maldovar. 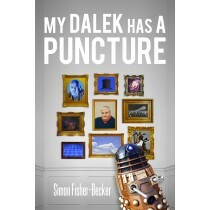 My Dalek has a Puncture is a frank, no holds barred look at Simon's life and work written by Simon himself. We hesitate to call it an autobiography as it is in equal parts educational, informative, motivational and heart breaking. The audiobook version, read by Simon himself, is accompanied by an original music score created by Tony Dugdale. 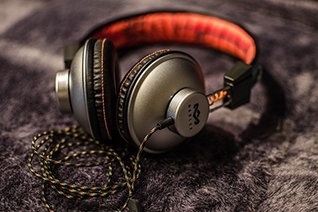 This format is available in both MP3 download and full loaded 2Gb USB Cards. Lady Kahina Loren, born into the Prism system's powerful ruling family, is desperate to throw off the shackles of her privileged lifestyle and discover herself, but ambition crumbles when she faces death at the hands of the one person she thought she could trust. With the advanced technology of the third millennium, death is not always as final as it seems, but when that technology malfunctions, is death the better option? 4Gb USB Cards feature the cover artwork and all files are DRM-free meaning you can listen to them wherever you like. Audio version performed by Toby Longworth, music by Allen Stroud. A Radio Theatre Workshop production for Fantastic Books Audio. ACEO Collector card artwork created by Alice taylor from character profiles supplied and approved by the author. Follow Drew on his website here: www.drewwagar.com. 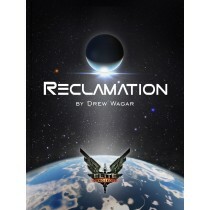 Get Elite Dangerous: Premonition, the official sequel to Elite: Reclamation, by clicking here. 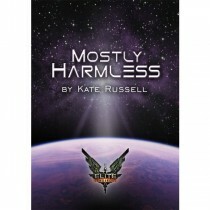 Written by Kate Russell under official license from the creators of, and based in the vast universe of, the seminal space trading computer game Elite: Dangerous. Commander Angel Rose, forced into a life of crime due to circumstances beyond her control, is determined to survive in the unforgiving void as a professional assassin. Will she be forced into the ignominy of moving back in with her parents when her efforts fail to leave her with credit-earning blood on her hands? 10% of the proceeds of this book will be donated to Special Effect who have made it their mission to beat physical disability and allow everyone to enjoy playing video games. 4Gb USB Cards feature the cover artwork and all files are DRM-free meaning you can listen to them wherever you like. Audio version performed by Kate Russell and David Braben, music by Allen Stroud. A Radio Theatre Workshop production for Fantastic Books Audio. ACEO Collector card artwork created by Alice taylor from character profiles supplied and approved by the author. 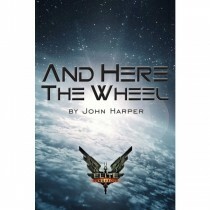 Written by John Harper under official license from the creators of, and based in the vast universe of, the seminal space trading computer game Elite: Dangerous. 10% of the proceeds of this book will be donated to the Wellington Cancer Society, a local division of a New Zealand wide charity that helps combat cancer with education, prevention, care, support and also runs local projects. 4Gb USB Cards feature the cover artwork and all files are DRM-free meaning you can listen to them wherever you like. Audio version performed by Scott Ainslie, music by Steve Wilson. A Radio Theatre Workshop production for Fantastic Books Audio. ACEO Collector card artwork created by Alice taylor from character profiles supplied and approved by the author. 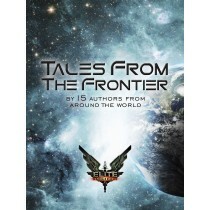 Written by Chris Booker, Darren Grey, Tim Gayda, Allen Farr, Lisa Wolf, Ulla Susimetsä, Marko Susimetsä, Rose Thurlbeck, Alexander Saunders, Gareth Bailey, Nicholas Hansen, Ramon Marett, Frederick Burbidge, Matthew Benson, and Christopher Jarvis under official license from the creators of, and based in the vast universe of, the seminal space trading computer game Elite: Dangerous. Cover design by Heather Murphy. Enjoy 15 scintillating tales in this eclectic collection where characters seek honor, truth, retribution, and in one case, a place to sell 300-year-old Lavian brandy. 4Gb USB Cards feature the cover artwork and all files are DRM-free meaning you can listen to them wherever you like. Audio version performed by Toby Longworth and Penelope MacDonald, music by Allen Stroud. A Radio Theatre Workshop production for Fantastic Books Audio. ACEO Collector card artwork created by Alice taylor from character profiles supplied and approved by the authors. 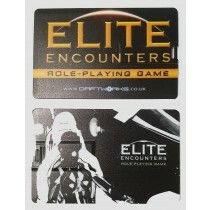 This is a 2GB memory card loaded with the latest, updated version of the Elite Encounters RPG in PDF format. It also contains stand alone PDF files containing much-requested character sheet templates, vehicle record files and black vehicle cards, both in the same full-colour versions seen in the book and in printer-friendly black and white outline format! Elite Encounters PDF updated May 2018. Blank Avatar and Vehicle Record Files in high quality vector graphics. Blank vehicle record cards in colour and black and white. NEW backing images for the cards to make them two-sided! Stand-alone version of the A4 Commander's Screen. Avatar Creation Summary summary page (from the book). VCS vehicle counters and templates.